Wild bee populations are in drastic decline, just as rising crop yields are demanding more pollination than ever before. The first-ever study to map populations of wild bees found that bee populations are in steep decline throughout the United States – and that the loss of pollinators poses a dire threat to U.S. crop production. Insect pollination directly contributes $20 billion to the U.S. economy each year. But over the past ten years, honeybee keepers have faced significant colony losses – driving the agricultural industry’s reliance on wild bee populations, which have been in decline since 2006. In total, more than a third of U.S. honeybee populations have already vanished. While the U.S. Department of Agriculture (USDA) pins this decline on a variety of factors, including parasites, malnutrition and disease, synthetic chemicals have clearly played a role. Researchers have found more than 35 pesticides and fungicides in the pollen of collapsed colonies. This creates an urgent need for new fertilizers and pesticides that don’t harm bee populations – and offers major commercial opportunities for labs that can create those chemicals. Bee pollination supports not only the produce industry, but also the livestock industry, which relies on plant crops to produce milk, eggs and beef. If you factor in these indirect products, the USDA estimates that honeybees contribute a total of $40 billion to the U.S. economy. However, as worldwide crop demand continues to rise, bee populations fall further behind. This latest study, first published in the Proceedings of the National Academy of Sciences, found that wild bee populations are rapidly disappearing throughout the continental U.S. The researchers identified 139 counties in California, the Pacific Northwest, the Midwest, west Texas and the Mississippi River valley, in which wild bees’ pollination capabilities fall well below the rising pollination demand of increasing crop production. In some of these counties, agriculture is concentrated around specialty crops, such as blueberries, almonds and peaches, which cannot flourish without seasonal pollination. When bee populations exceeded pollination demand, yields of these crops could often increase, supporting a cycle in which bee populations and crop yields continued to rise. However, many of these specialty crops grow in areas where the supply of wild bee colonies continues to fall further behind pollination demand. Honeybee populations are in similar decline throughout Europe, where more than 80 percent of crops rely on bee populations. Many regulators have blamed pesticides. France has called for a ban on all neonicotinoids – a class of pesticides that some studies have found to be harmful to bees – by 2018. But in the U.S., at least, the problem and its solutions may not be quite so straightforward. Bee Colony Collapse Disorder (CCD) turns out to be a far more complex phenomenon than it initially appears. The disorder doesn’t seem to result from any single cause – nor is it likely to be solved with an isolated regulatory change. Even so, the need for solutions continues to intensify. Various teams of researchers have discovered a diverse range of contributing factors. Parasites known as Varroa mites (Varroa jacobsoni) carry several vectored viruses lethal to bees – and Varroa infestations have been on the rise in bee colonies since the 1980s. Other researchers have implicated the parasite Nosema ceranae, which often appears in collapsed colonies. Large monoculture plantings of crops like corn and soybeans – which provide very little nectar or pollen for bees – also appear to be linked to CCD. According to the latest population-mapping study, the amount of land tilled to grow corn has spiked by 200 percent over the last five years, particularly in states where bees are in sharpest decline. 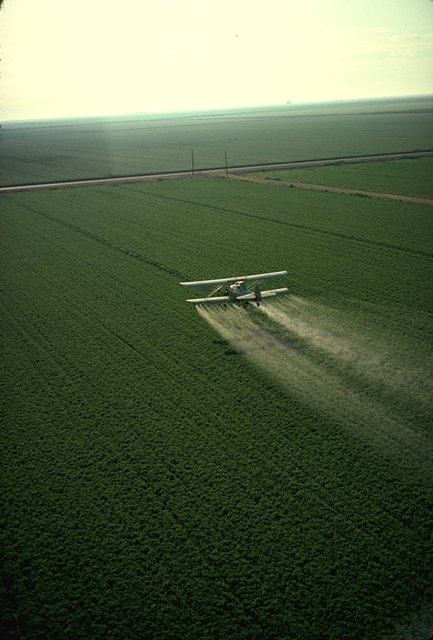 Pesticides and fungicides may further exacerbate these issues. In one 2013 study, researchers found pesticides – sometimes in lethal doses – in the pollen of every collapsed bee colony they examined, and found herbicides and fungicides in 23 percent of pollen samples. A full 100 percent of samples from collapsed colonies contained pyrethroids, while 63 percent contained organophosphates. A colony’s fungicide load also correlated strongly with the presence of Nosema parasites. In light of this complex interplay of factors, the agricultural industry finds itself in urgent need of new pesticides, fungicides and fertilizers that don’t harm bee populations – whether directly or indirectly. Until researchers determine the root causes of CCD, the only effective approach seems to be to eliminate likely factors one-by-one. Thus, even if a given pesticide proves not to be directly lethal to bees, it may still need to be replaced if it supports infestations of dangerous parasites and viruses. Similarly, the agricultural industry needs fertilizers that supply sufficient nitrogen to crops, while simultaneously supporting biodiversity among wild plants involved in the pollination cycle. As data on the impacts of specific compounds continues to pour into labs around the world, process and engineering teams can’t continue to rely on traditional research and synthesis pathways. The rapid evolution of CCD research makes instant adaptation an absolute necessity for any lab that hopes to compete effectively. This level of agility requires centralized strategic planning systems, designed to enable seamless collaboration among all departments, across all iterations of a new compound. The first labs to bring chemicals with minimal environmental impact to market will be those best equipped to discover, test, fine-tune and manufacture these compounds. And as the scale of agriculture continues to expand, so will the market potential of viable solutions. Christina Välimäki has been in the information industry for thirteen years. Starting with the business think tank and authorship center, the Accenture Institute for High Performance, she moved into B2B market research, earned a Harvard MBA, then joined the RELX Group. Now the Elsevier Senior Director of Strategic Marketing for the Chemicals Industry, Ms. Välimäki works to transform the organization’s focus toward a market orientation growth strategy, including opportunity identification, product design, and go to market and communication strategy, targeting the critical innovation needs of chemical customers. This article was originally published by Elsevier.